Clark was born in London and was noted as an “animal painter” on his first child’s baptismal record. Three of his sons, Octavius, Samuel and Albert, became artists. **Please Note: We have just purchased a small private collection of cat paintings. Type "CATS" in the search box to see others. 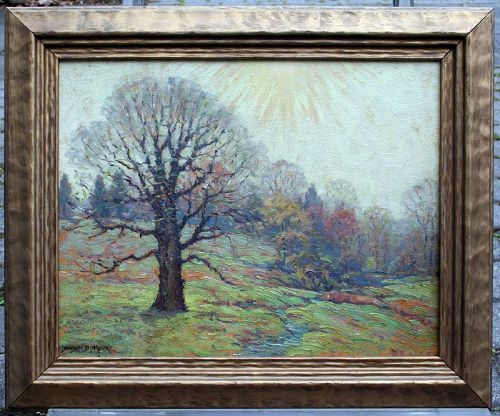 Oil on panel, signed lower right: “T.S. Moran”. Though sometimes confused with the famous landscape painter Thomas Moran, further research by Edan Hughes ("Artists in California 1786-1940") shows that this artist with a middle name of Sidney, is not the same. 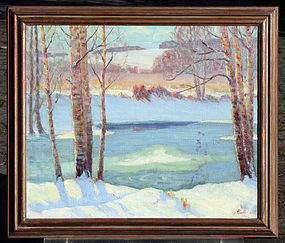 Oil on board, signed lower left. 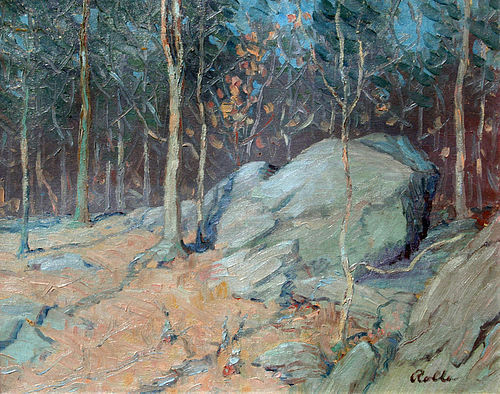 Bob Nally lived and worked in New England and was a member of the Rockport Art Association from 1963 until his death in 1991. The publication “American Artist” had an article discussing one of his paintings in January 1981. Sheet Size 15.5" x 22"
Acrylic on canvas, signed and dated “(19)69”. 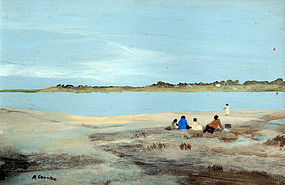 Sight Size: 9.5" x 13.5"
Frame Size: 13.25" x 17.25"
Watercolor on board, signed and dated” “1889”. 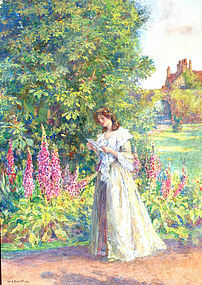 Coleman exhibited at the Society of British Artists, Suffolk Street in 1887 and is listed in Woods, Dictionary of Victorian Artists.